It isn’t a pleasant thought to imagine that someone might break into your home; enter your private space without permission, touch your personal possessions and perhaps even help themselves to things that aren’t theirs. However it is a truth that we live in a society where house burglary seem to be on the increase and as such we need to take extra precautions to ensure the safety of our own homes, the contents of our homes and those that reside within. It is important that every home has a detailed and thorough security plan that ensures all aspects of home security have been dealt with in a methodical way. You can use a pre-existing checklist or guide from an online source as a starting point for your own security plan. But do remember that every home is different and your house may have additional areas that need considering so do double check everything and make sure nothing has been missed out. It is ideal to think that potential intruders cannot make it past the external boundaries of your grounds rather than making it to your house. 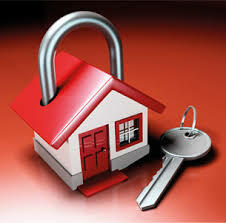 As such, spend a decent amount of time checking and then securing the boundaries of your home. When I refer to boundaries I mean anything that marks out your ground from your neighbours or public area, this could include fences, hedges and walls. Make sure there are no gaps or holes and that exits/entrances to the property can be secured from the inside. Barrier Components stock one of the largest ranges of high quality gate locks on the web so are sure to have a locking solution for your outside gate or door. Let’s imagine that our external grounds boundary measures didn’t work; the house itself also needs to be safe and secure at its boundaries. Start by checking all of the exits and entrances to your home so any doors and windows but also skylights and fire exits. Make sure everything is internally lockable, of a high quality and in good working order. If anything is of dubious quality then replace it rather than risk it being the weak link. Even the strongest lock in the world won’t stop a house burglary if you leave it open! To prevent memory slips have a nightly lockdown procedure and a more extensive one for if you are spending time away from the home. If you always repeat the same procedure, it will become a habit that will ensure no mistakes are made and that your house remains safe and secure whilst you sleep or relax on the beach! ← Nip that Pinch in the Bud!